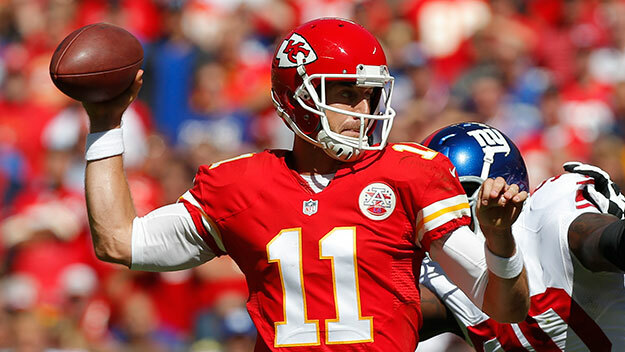 Quarterback Alex Smith’s first several years in the NFL were more unstable than a Ford engine. He was often criticized and negatively scrutinized for his inconsistent play. The 2005 #1 draft pick overall was never fully embraced by the fans or his coaches in San Francisco. Coaches claimed they were fired because of him and the fan-base rallied to replace Alex with another quarterback. Even after leading the 49ers to a 13-3 season and NFC championship game in 2011, the organization was still not sold on his talent. How did they repay Alex for such a great season? By entering themselves in the Peyton Manning sweepstakes, with hopes of landing the most decorated quarterback of all time. When that plan fell through, they asked Alex back and he consented. In other words, that’s like telling your spouse (who’s been committed to you for years and did nothing wrong) that you’re going to step out and find a replacement. And when the replacement doesn’t work out, you’re going to beg your spouse back. Sounds ridiculous right?! Well that’s how the organization handled Alex Smith. I understand that the NFL is a business, and all decisions are business decisions. However, Alex never did anything wrong to warrant that kind of behavior from this organization. To make matters worse, Alex starts off the 2012 season exceptional: 104 Passer Rating, 70% completion rate, and 6-2 record. Alex goes down with a concussion, and in steps a kid named Colin Kaepernick. The rest is history. All Alex did was get himself demoted for outstanding job performance and a concussion. He, again, found himself in a position where the 49ers weren’t committed to him. He spent the rest of the 2012 season holding a clipboard on the sideline and wondering if he’d ever find an organization that would commit to him and love him. He would ultimately find that “love” in Kansas City. As the Chiefs starting quarterback, Smith started off the 2013 season with a 9-0 record and he took them into the playoffs. It’s amazing how one can flourish when they finally find a home that supports them. Though Smith’s road to get here was anything but easy, I always admired the way he’s handled himself. When he was demoted in San Francisco, he never became vindictive or resentful. He simply handled everything with class and even mentored Kaepernick, which further validated Alex as a true team player. His biggest moment as a Chief came yesterday, when they rewarded him with a 4 year extension worth $68 million. For the first time in his life, Smith has stability as the franchise quarterback of an organization. He can finally breathe a sigh of relief to be part of a family that embraces him and wants him. Cheers to you Alex!